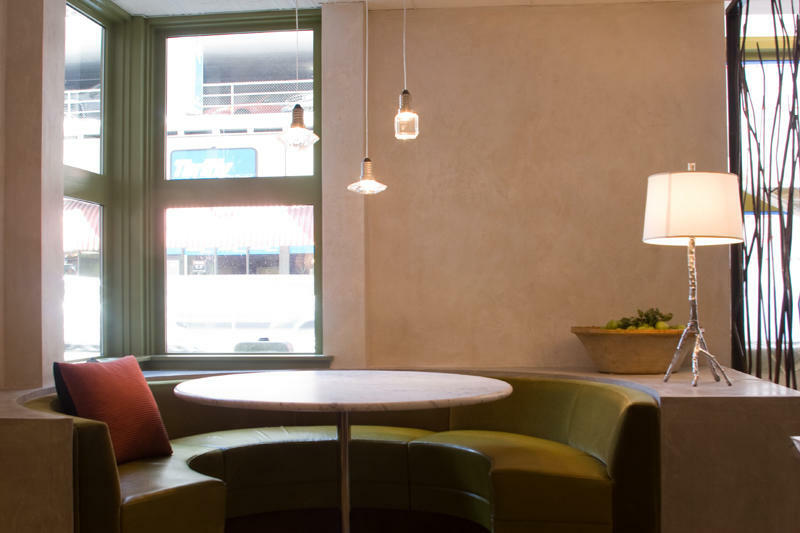 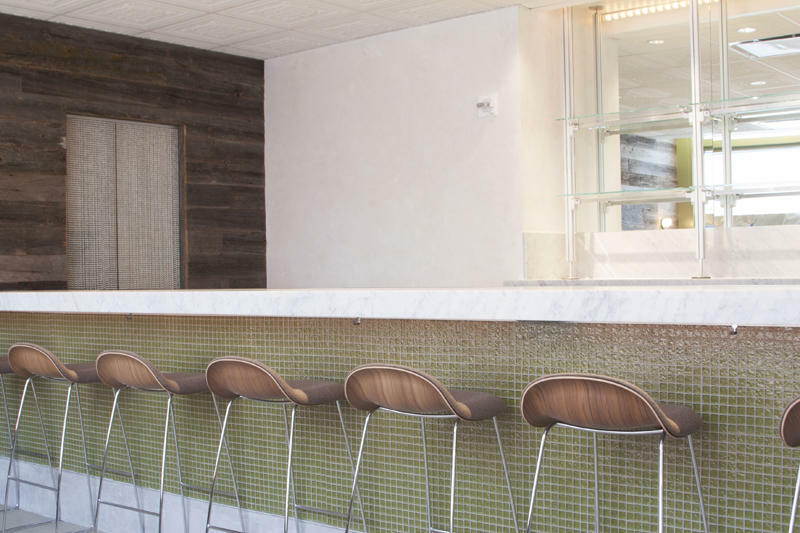 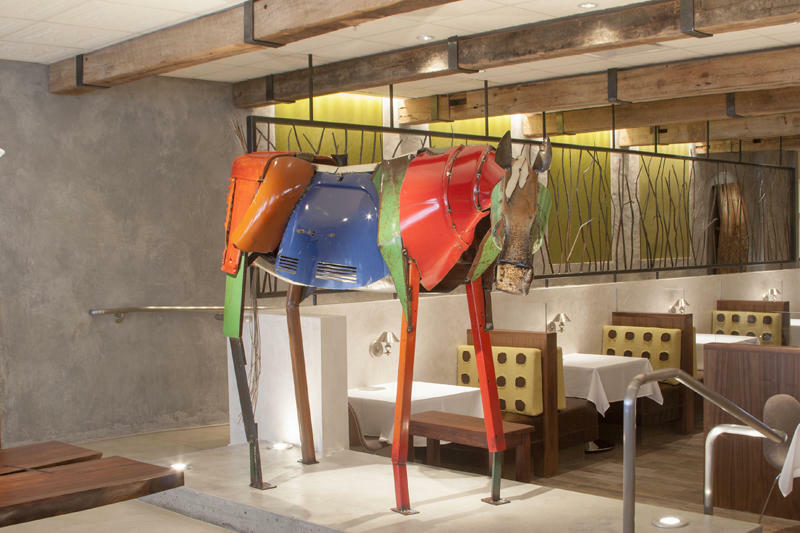 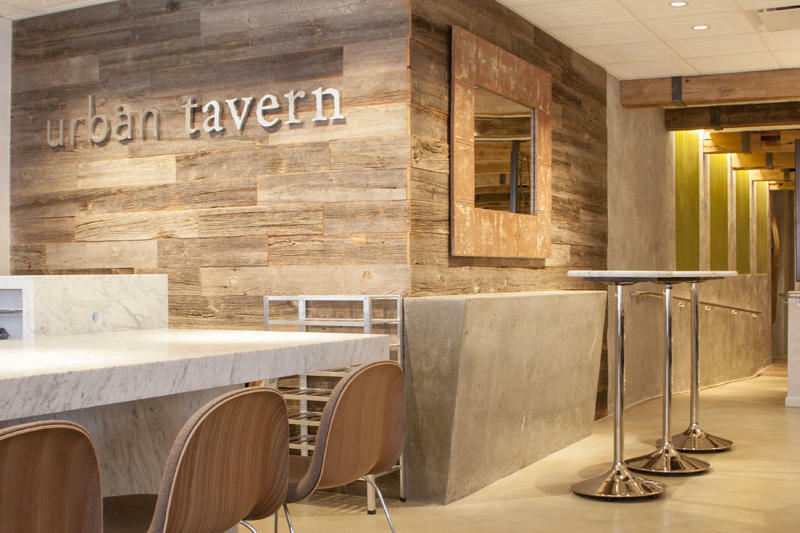 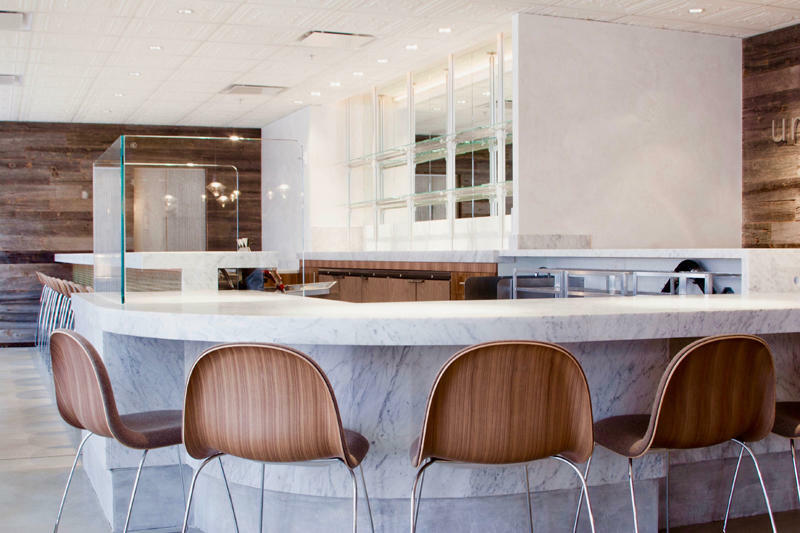 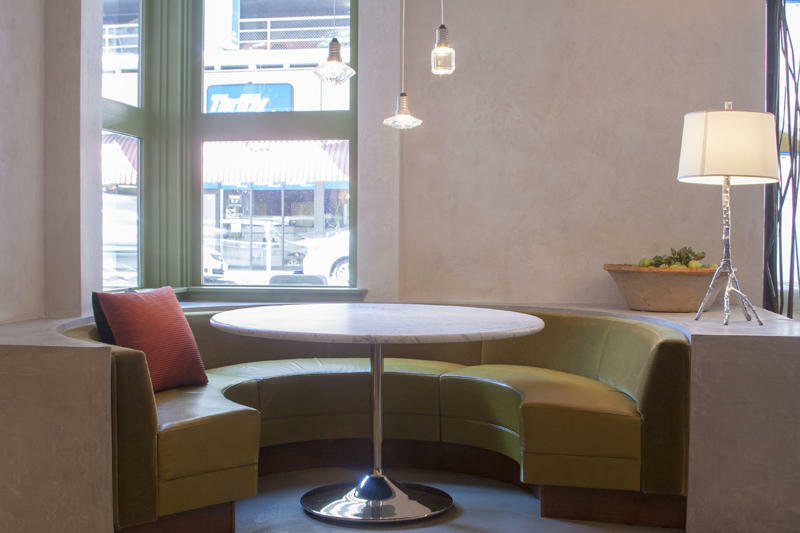 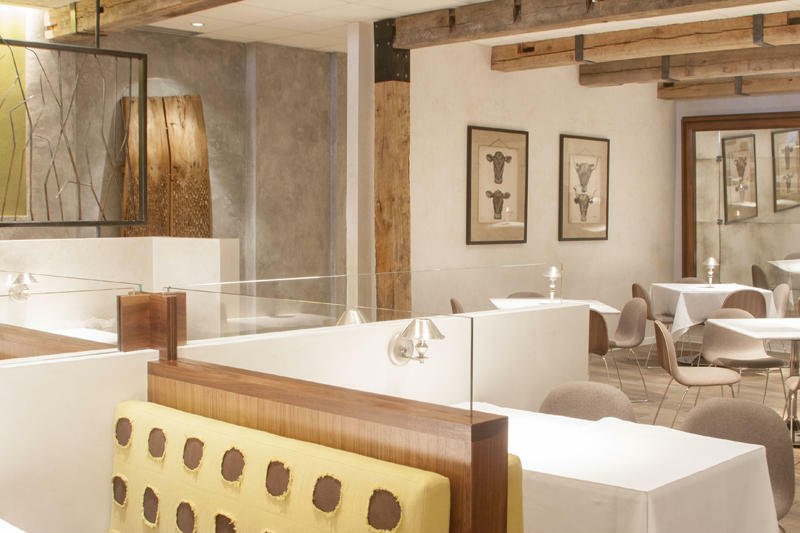 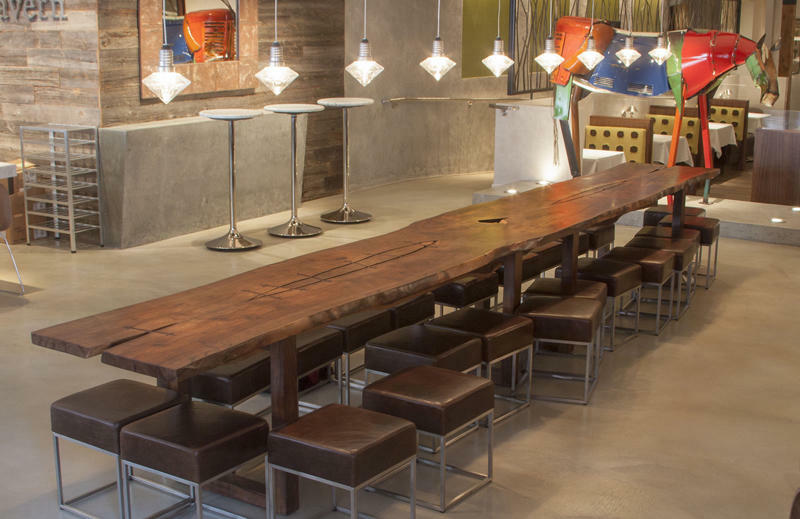 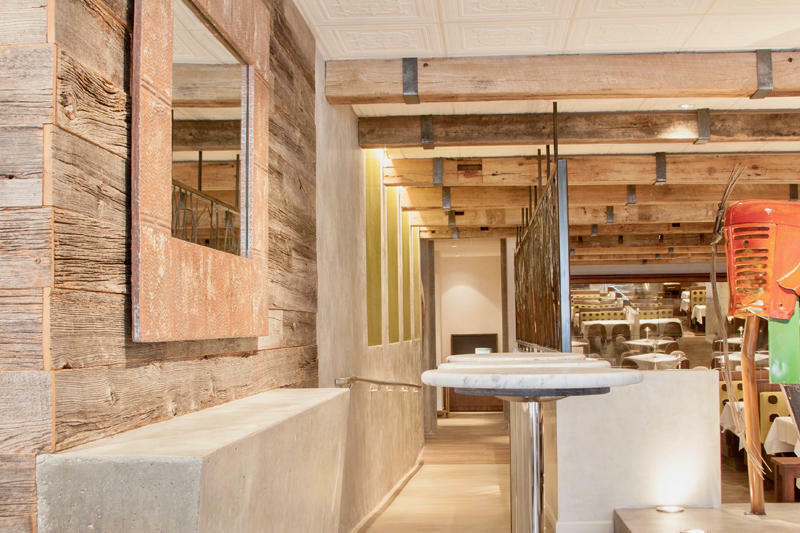 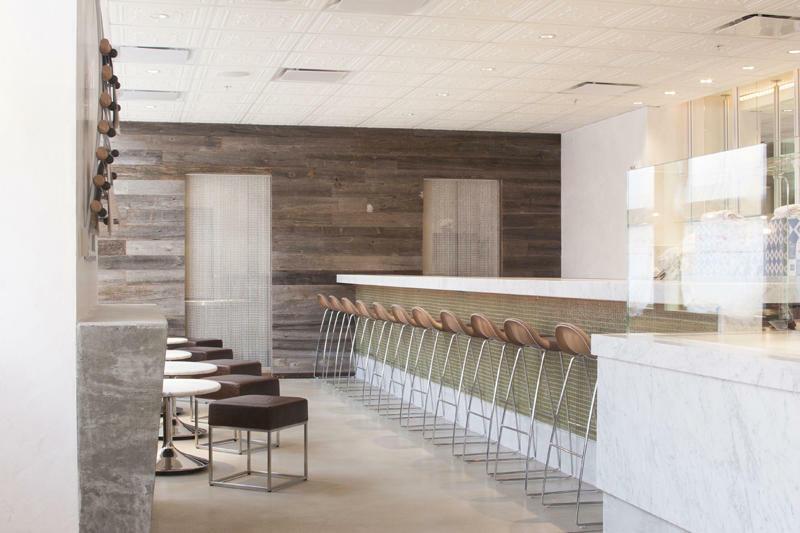 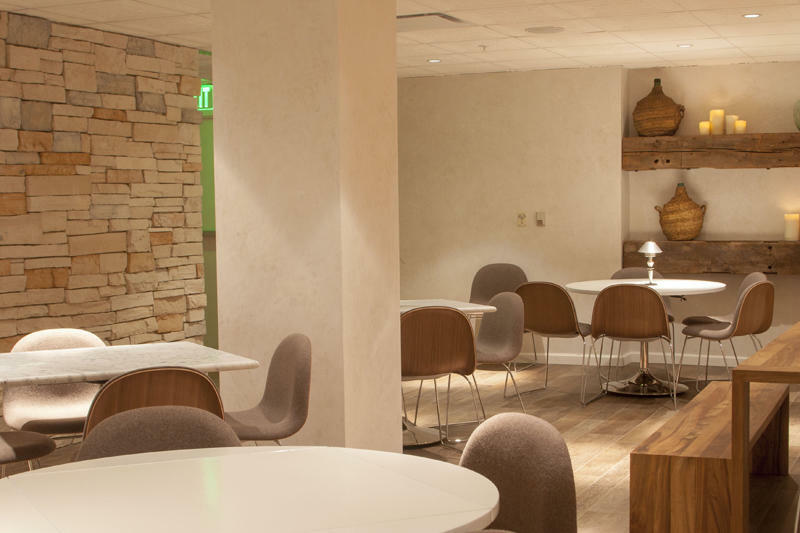 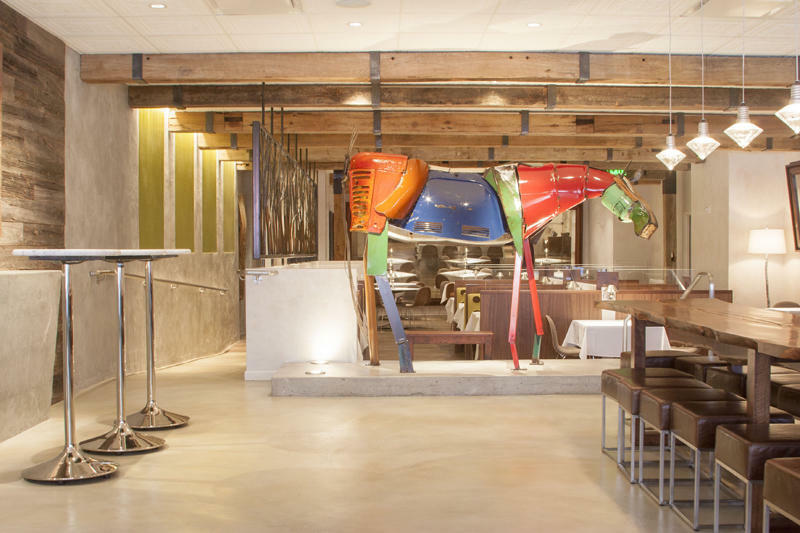 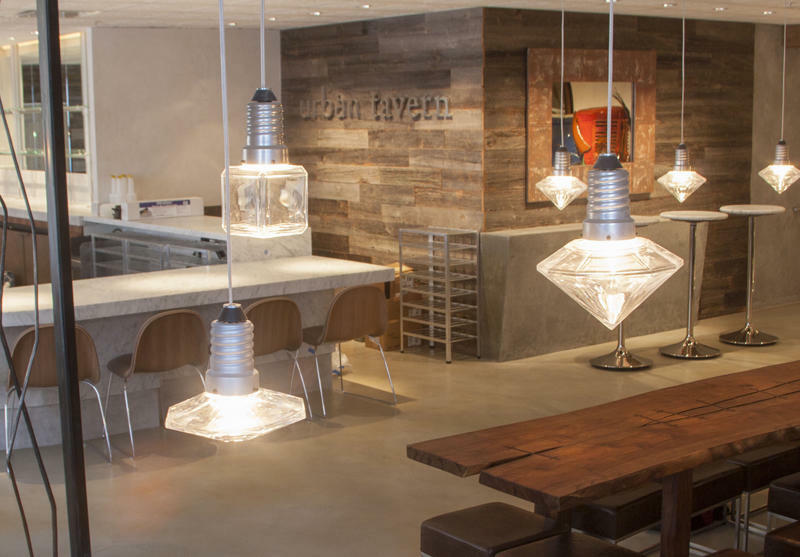 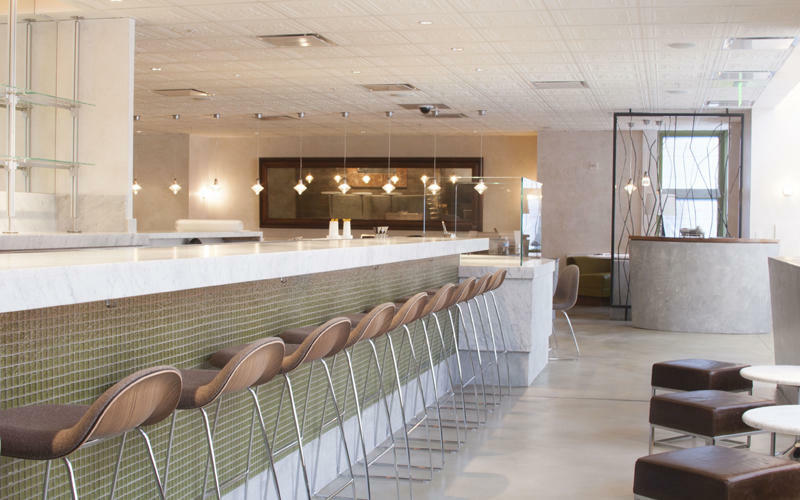 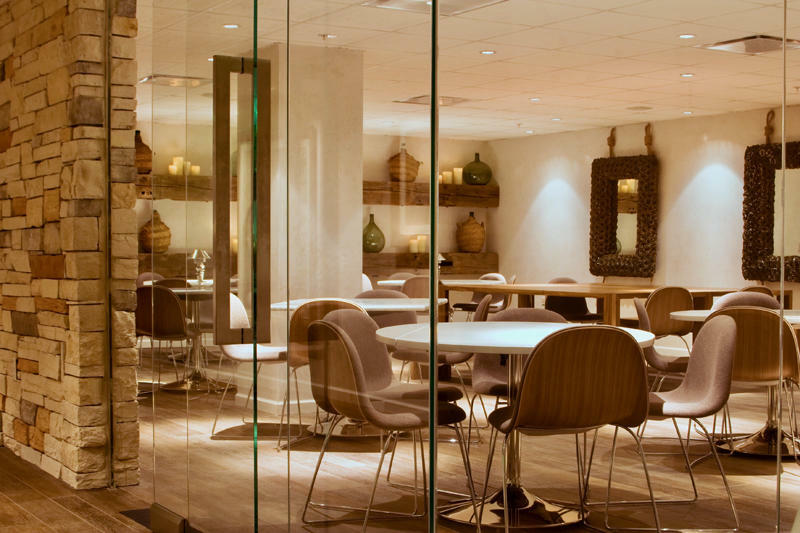 The Urban Tavern Restaurant in the Hilton San Francisco Union Square Hotel is a wonderful example of a commercial project that incorporates cohesive Stonelace products and finishes throughout the design and programming of the space. 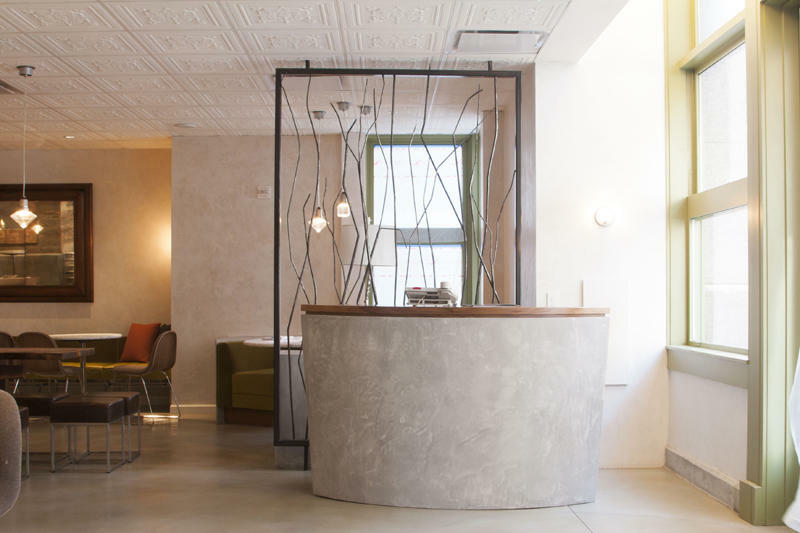 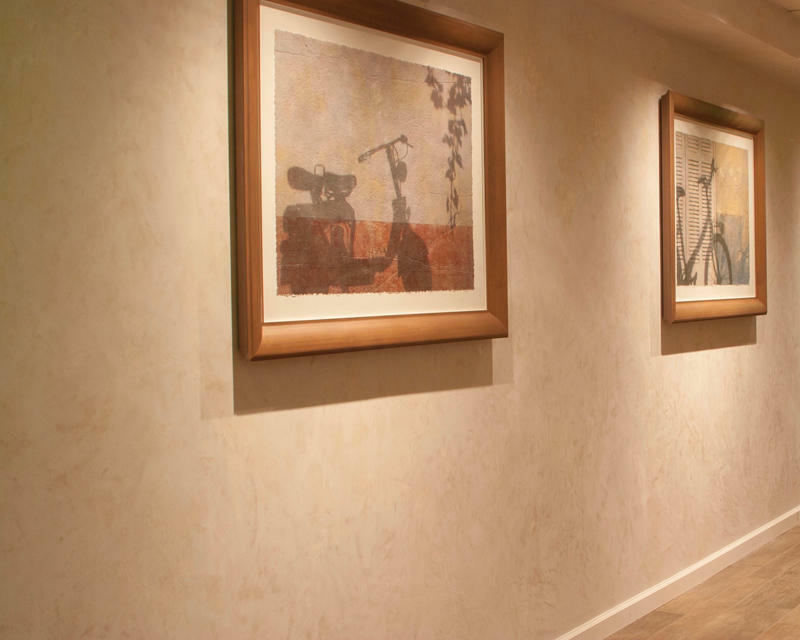 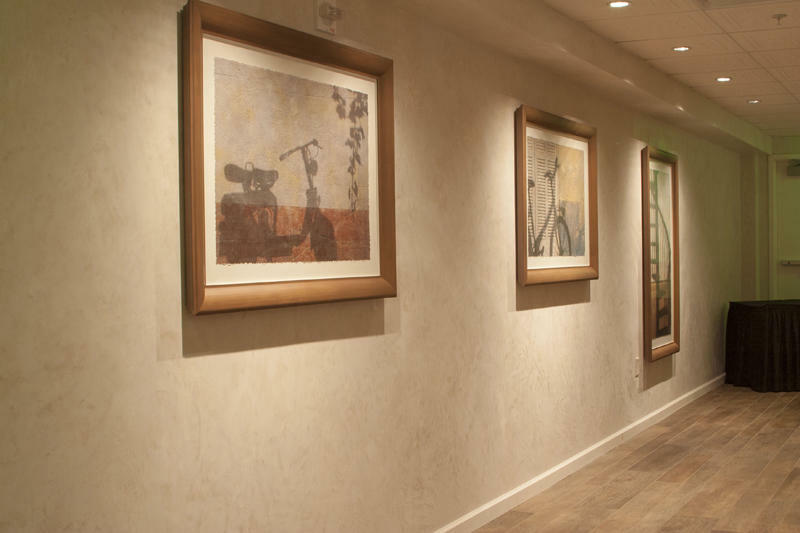 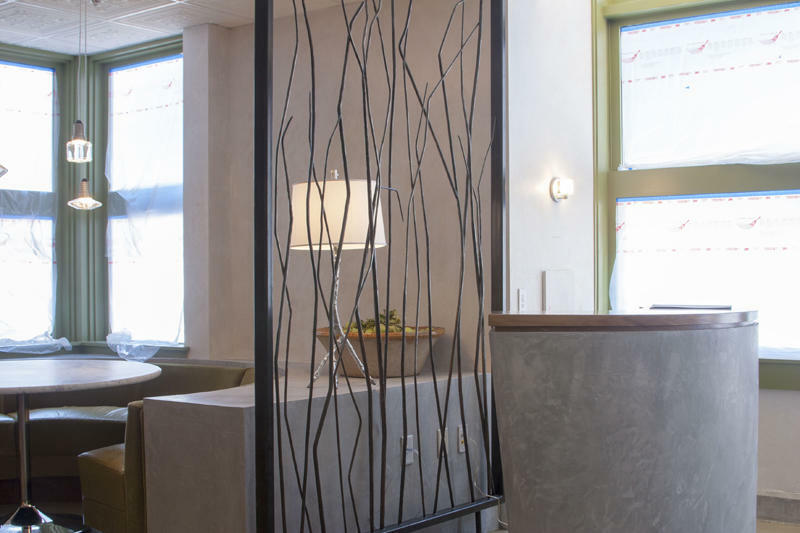 Stonelace-patented product Verite® is seen throughout the space in areas such as the bar toe-kick, curved concierge desk, chef’s table surround and subtly-lit hallway walls leading to private areas. 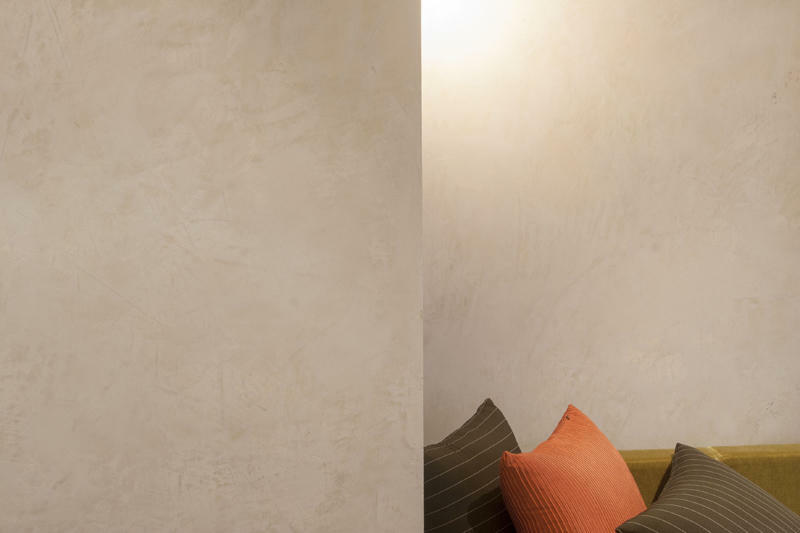 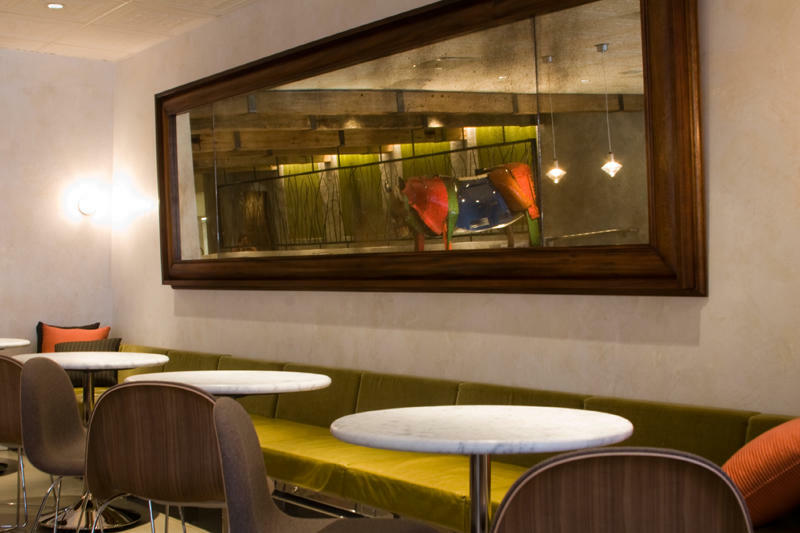 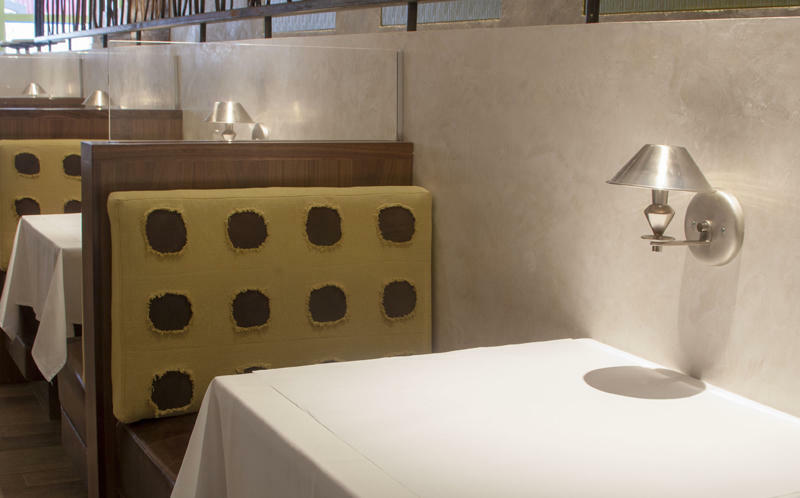 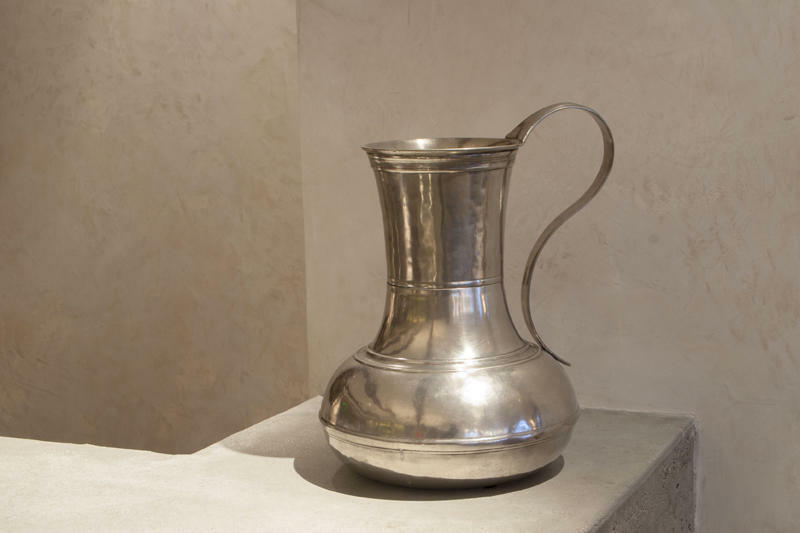 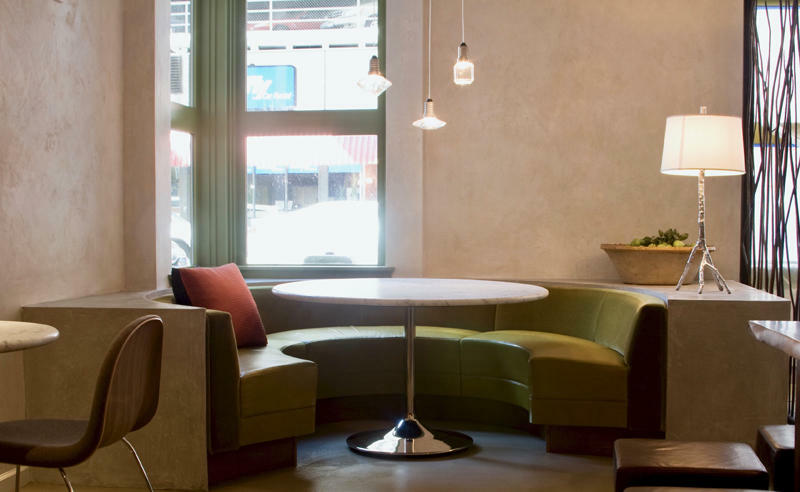 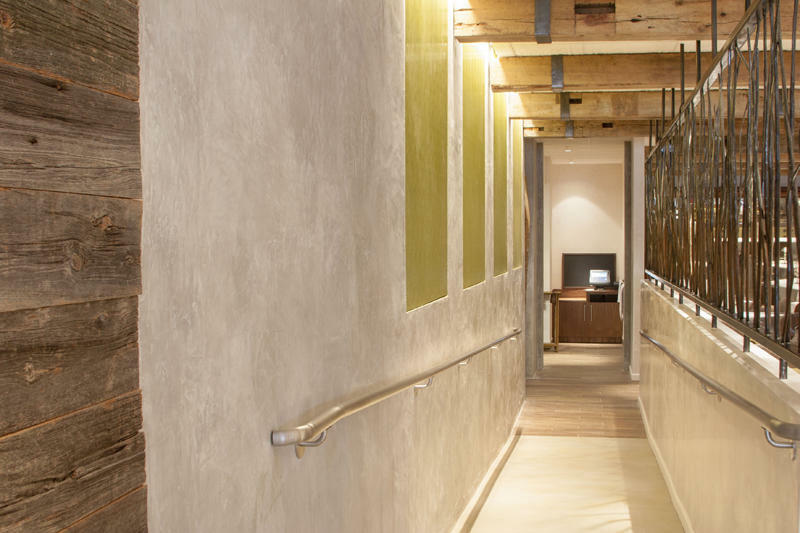 Patinated waxed Italian plaster accents are featured on the divider walls between booths to create cozy, intimate tables for guests. 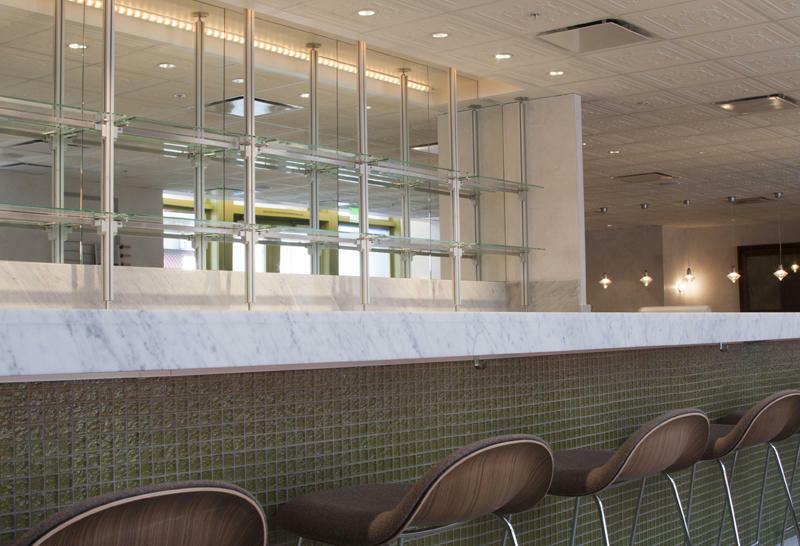 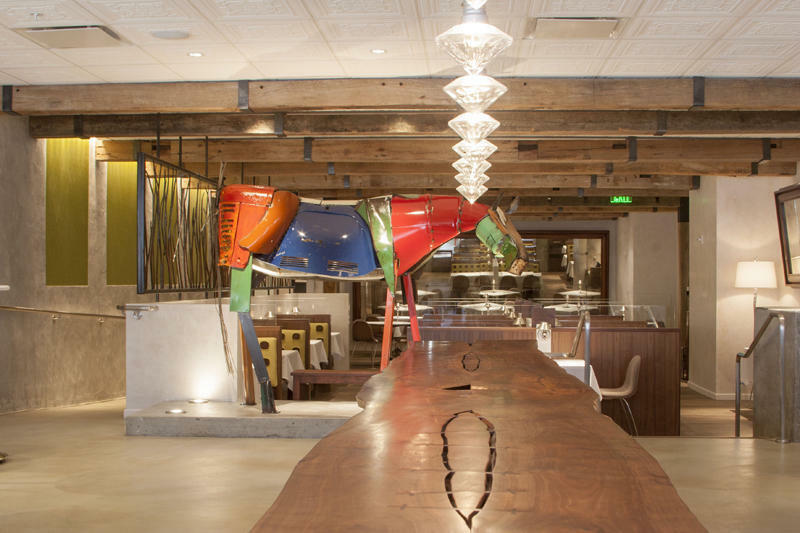 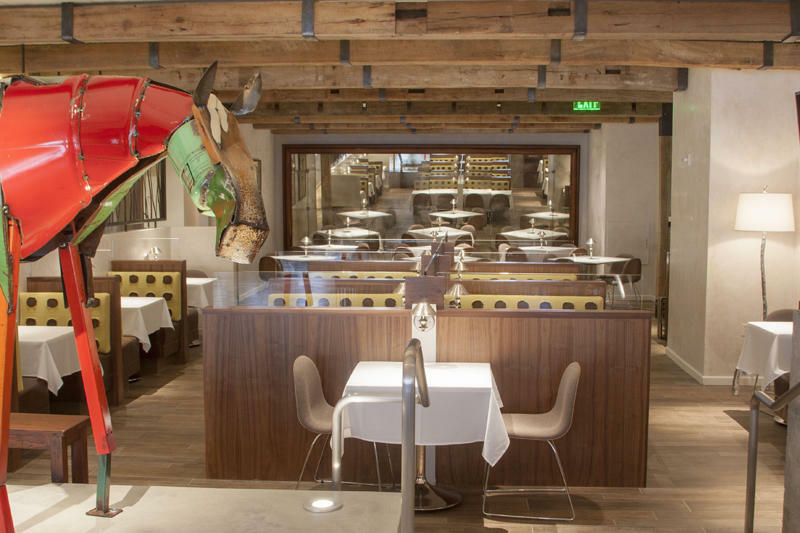 This luxurious eatery was created by restauranteur Donna Scala with design by world-renowned architectural firm Gensler.